Delbert “Pete” Dykes passed away at the New Horizons Care Center in Lovell on April 2, 2019, from complications of heart failure. Pete was born May 11, 1932, to Elva Christie Dykes and Howard Dykes in Ashby, Nebraska. He married Mazie Cross on Dec. 9, 1953. They had two daughters, Rena and Rita. The family moved to a farm near Deaver in 1964, where they worked together raising cattle, chickens and the girls. They divorced in 1980, but were able to enjoy family gatherings and holidays together to spend time with their granddaughter, Jordan. Pete was also employed at Great Western Sugar until his retirement. He loved to team rope and traveled to jackpots to compete for years. His favorite header was his brother-in-law, Robert Lamm. 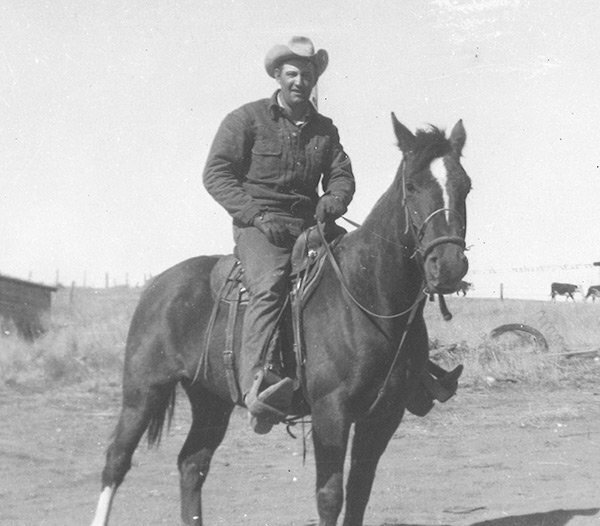 The families spent many weekends together camping at rodeo grounds and roping arenas. His last years were spent in Cowley with Tom and Rita as the head dog and cat wrangler. With his health failing, he moved to NHCC in March 2018, where he made new friends with the staff and residents, with winning at bingo always a goal. He loved visitors, especially visits from special nieces and nephews who traveled to see him, as well as the many calls from the ones unable to travel. Pete was a hardworking, fun-loving man who lived life to the fullest. Pete was preceded in death by his parents; brothers Roy, Raymond, Robert, Lyle, Lauren, Dale and Joe Neil; and sisters Oda Cullom, Ola Mae Grote, DoraLee Reed and Doris Dykes. He is survived by his daughters Rena Dykes Corn (Bill) and Rita Jansson (Tom), and granddaughter Jordan Jansson-Comer (James), as well as special family members Klondy Jansson and Katrina Widdison (Mark) and their children. Also surviving are sisters Dorothy Curtis of Utah and Ava Kay Wilson of Nebraska, and many nieces and nephews. Pete was thrilled with the news that Jordan and James are expecting a “human” and not a new puppy in August. He requested cremation and no services. He would like his ashes scattered on the mountain. He will be greatly missed.